Outstanding Cambridge Learner Awards in The British College - We are The British College. Our students make the future. TOP in SPAIN in AS Biology: Caitlin Hayes. TOP in SPAIN in IGCSE First Language Dutch: Cecilia Joelle Maria Bosman. 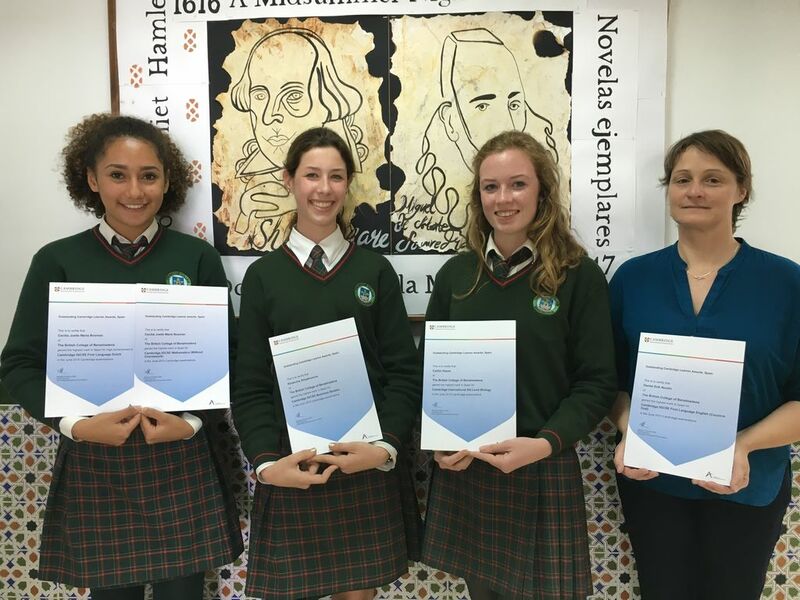 TOP in SPAIN in IGCSE Mathematics: Cecilia Joelle Maria Bosman. TOP in SPAIN in IGCSE First Language English: Daniel Erik Nordin. TOP in SPAIN in IGCSE Business Studies: Ekaterina Shlyakonova. Both students were awarded by Cambridge Examining Board the Cambridge Advanced International Certificate of Education with Distinction. OUTSTANDING LEARNERS IN THE BRITISH COLLEGE THROUGHOUT THE YEARS, WHO ACHIEVED THE BEST RESULTS IN SPAIN OR IN THE WORLD. Information sent by Cambridge Examining Board. TOP in the WORLD in AS Level Travel and Tourism (A). TOP in SPAIN in A Level Business Studies (A*). TOP in SPAIN in AS Level Business Studies (A). TOP in the WORLD in A Level Psychology (A*). TOP in SPAIN in A Level Geography (A*). TOP in the WORLD in AS Level Psychology (A). 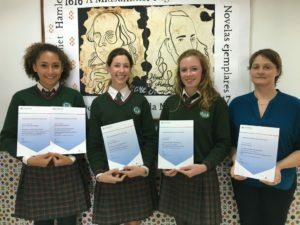 TOP in SPAIN in AS Level English Language (A). TOP in SPAIN in AS Level Geography (A). TOP in SPAIN in IGCSE Physical Education (A*). TOP in SPAIN in A Level Psychology (A*). TOP in SPAIN. Six A Levels with an A or an A* grade. TOP in SPAIN in AS Level Business Studies (A) and in AS Level Psychology (A). TOP in SPAIN. Six A Levels with an A grade (there was no A* at the time). All those students received a special certificate from Cambridge Examining Board.